Self-Publisher’s Showcase: Today we are joined by Clayton Smith, author of Apocalypticon, and the newly released Pants on Fire. Welcome to The Showcase lounge, Clayton. Can we get you anything? Clayton Smith: I was told there’d be cake. Is that…? No? CS: Mostly, I’m a firm believer in nonsense. My general life motto is, “If it’s ridiculous, then it’s important.” I grew up in St. Louis and currently live in Chicago, which I assume means I have some sort of Midwesterny feel about me. I write mostly speculative fiction, and I’m generally fuelled by coffee and laughter. CS: I actually prefer absolute silence when I write. I know a lot of people write best with music playing, but for me, that usually ends up in some sort of disastrous and painful impromptu dancefest or other. Plus, I like to read my dialogue aloud a lot to make sure the patter and flow are right, so I like writing in quiet places. I try to write something every day. Through about 23 years of trial and error, I’ve learned that I actually write my best stuff early in the morning, so I try to wake up around 5am and hammer out a few pages before slogging off to start the day…although we have a new puppy in the house, and he pretty much demands that I spend my free time throwing around little rubber balls instead. So it’s getting a little tough to block off time for writing. CS: Well, generally speaking, I’ve wanted to be published since I was 7, when I wrote and illustrated a pretty heady, philosophical story about an oversized gentleman named Big Bird. I never quite understood why it didn’t get picked up by any of the big publishing houses. But more specifically, the firm decision to publish my first novel came a few months before my 30th birthday. I sort of realized how much time I’d wasted by not following through on one of my 7 partially-written novels and decided enough was enough. That’s when I decided to see Apocalypticon through. SPS: Why do you believe you have chosen to write in the genres that you have? CS: My favorite stories have always been the ones that are intensely imaginative. When I was little, I couldn’t get enough of Roald Dahl, or of Louis Sachar’s Sideways Stories from Wayside School. This obsession with silliness and excessive imagination continued as I got older and discovered writers like Kurt Vonnegut and Neil Gaiman. The fact that so many of their tales are whimsical or oddly hilarious while still being somehow anchored to the commonplace, humdrum real world was just proof that there’s a lot more to life than the status quo, and as my own writer’s voice started to develop, I found that I really wanted to help draw back the curtain between reality and imagination. SPS: So, can you tell us all about Apocalypticon? CS: It’s a whole new type of post-apocalyptic story. Seriously. It’s a sort-of comedy with a lot of real-world darkness and a good amount of heart. I promise you’ve never read anything like it. SPS: OK, and the Jamaicans caused the apocalypse how exactly? CS: Flying Monkey bombs. Obviously. SPS: Obviously. How easy did you find it to balance the humor with the Science-Fiction and Post-Apocalyptical elements of the story? CS: In terms of writing it, the balance was actually fairly easy because most (though certainly not all) of the humor comes from dialogue rather than setting. Actually, I think the fact that the banter is set against such a stark post-apocalyptic backdrop only helps strengthen the humor. For some readers, I think the sometimes-quick leap from comedy to horror and violence is jarring, but that’s sort of the point. My goal was to remind people that, yes, this is a fun story with a lot of laugh-out-loud moments, but it’s also very real for these characters, and sometimes that reality is pretty bleak. SPS: Can you fill us in on where your inspiration for your lead character, Patrick, came from, and is there any of you in him? I modelled the main character after Patrick because he and I have gone on more than our share of madcap road trips across the country, and it seemed entirely appropriate that he come along on this one, too. SPS: What led you to decide that his destination should be Disney World, over anywhere else? CS: Excellent question! Initially, he was actually supposed to go to Disneyland as a tip of the hat to the old Disney/Super Bowl schtick: “Hey, you just won the Super Bowl! What are you gonna do now?” “I’m going to Disneyland!” That’s where the idea started. And it was going to be great, because Patrick and Ben were going to head west, all manifest destiny-style, and I had a lot of fun plans for the creepy and weird and terrifying mountain people they’d find in the Rockies, and the bizarre nomads they’d come across in the desert. And I actually started writing it like that…until they got to Kansas. And if you’ve never been to Kansas, it’s safe to say that Kansas is, objectively, the worst. I threw a lot of awful things at Patick and Ben over the course of their post-apocalyptic trip, but making them walk through the God-awful flats of Kansas? It was too much. So I re-routed them and had them go through the Deep South to Disney World instead. SPS: Does Patrick and Ben’s relationship change as the story progresses, as they experience more? CS: I don’t know if the relationship changes so much as our understanding of their relationship changes. In the beginning, we get a lot of the banter and the “buddy comedy” connection, but as the story progresses, we get a deeper look at what their friendship really means to both characters. SPS: Is Apocalypticon intended to be a standalone work, or do you have plans to revisit any of the characters in the future? CS: For all intents and purposes, it’s a standalone work…though I have some ideas I just might play with for future books. I’m really happy with the post-apocalyptic world I created, and I want to keep playing in it. We meet a lot of characters in Apocalypticon who I think are just intensely fascinating, but who don’t get a whole lot of screen time. I could see my way to writing a book of short stories with each story giving a little more backstory to a different character…sort of a companion book for Apocalypticon. I’d also love to pursue the Rocky Mountains setting, and I’ve been kicking around ideas about a post-apocalyptic Western adventure that would weave in a bit of Apocalypticon. That’s a novel I think I’d like to write. SPS: Moving on to your recent release; what can you tell us about Pants on Fire? CS: Well, to be honest, it’s technically a re-release. 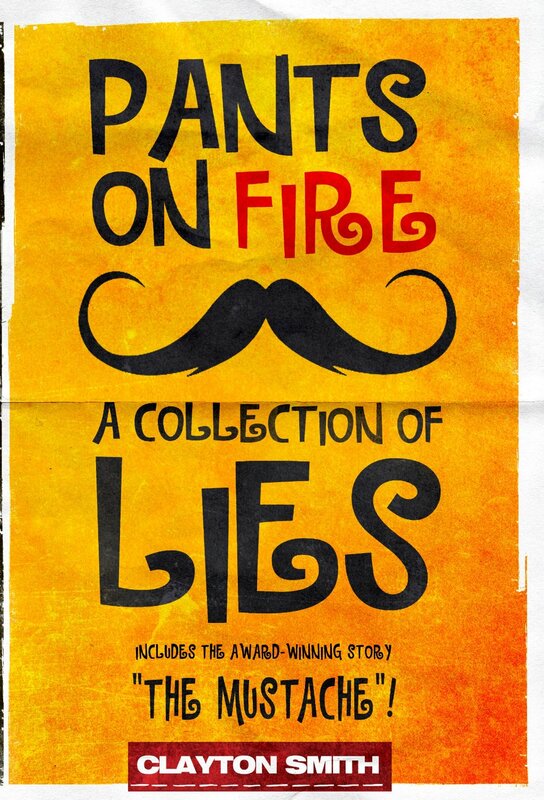 The first version of Pants on Fire: A Collection of Lies was released before Apocalypticon as sort of a trial run for self-publishing my novel. I learned a lot about what not to do when I released that first version, so I went back, fixed it all up, tightened the screws, gave it a new cover, smoothed out the layout, and now it’s being re-released in what I would call the definitive edition. 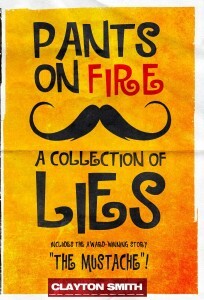 Pants on Fire contains 18 short stories that pretty much run the gamut from humor to horror and everything in between. Some stories are funny, some are scary, some are just plain odd…but they’re all a lot of fun. There’s really something for every mood. SPS: We’ve seen plenty of people struggle to balance horror with humor. What’s your secret? CS: I think the secret is to just not be afraid of combining the two. I think a lot of people get too far into their own heads trying to make sure there’s enough horror, or make sure there’s enough comedy. Don’t worry about the balance; just write your story, and the balance will sort itself out. Usually. Maybe a more helpful secret is to be able to find the humor in dark situations. I’m not just talking about dark comedy, though of course that’s immensely helpful when combining humor and horror…but I mean the out-and-out funny things about scary situations. There’s a lot of humor to be found in people’s reactions to scary events. I have a hunch that if you don’t take yourself too seriously, you’ll start seeing some silliness in the midst of your own scary moments. SPS: Did the collection spark from one particular story or did the idea for the collection as a whole come prior to ideas on the actual contents? CS: Most of these stories were actually written a few years ago when I was desperate to get back to writing more. I decided to challenge myself to write one short story a day for the month of June, and by gum, I did it. At the end of the month, I had 30 short stories piled up. A lot of them were really awful, but plenty of them were pretty decent, and a few were even really great. So when I decided to run a self-publishing test prior to releasing Apocalypticon, I decided to rework and collect some of these June stories for publication. Of the 18 stories in the book, 16 come from that June challenge. SPS: Do you have a favourite tale in the collection that you can tell us about? CS: Hmmm. Tough question. I think my favorite is “The Castle Dim.” I’ve always been a really big fan of British comedy in general, and Monty Python specifically, and I think of “Castle Dim” as an homage piece in that regard. I’m really happy with how it turned out. I laugh every time I read it. My runner-up would be “The Sandalman Song.” It was my first crack at a true horror story, and I couldn’t be happier with how it turned out. I’ve had people tell me they’ve literally had nightmares after reading it. And that’s a special feeling. SPS: Did you find any difference writing in the shorter form? CS: The biggest difference is in my attention span. It’s difficult for me to write long form, not because of story development issues or anything like that, but because it’s hard for me to maintain focus on any one project for that long. That’s one of the reasons it took me so long to publish my first novel; it just took that long to actually sit down and finish writing one. With short stories, I feel more accomplished, because I can sit down and actually finish them with relative ease. CS: The reviews have been pretty overwhelming! I wasn’t sure how people would react to my stories, given that they don’t fall squarely into a genre. Apocalypticon, for example, is sort of a comedic, speculative fiction take on post-apocalyptic horror-drama. How do you drop that into a genre from the Amazon drop-down? So I was worried about misleading people…but I’ve been thrilled at how positively people are responding to my storytelling style. I think readers are hungry for something that blurs the lines a bit, and there are some genres that are just aching to be broken. 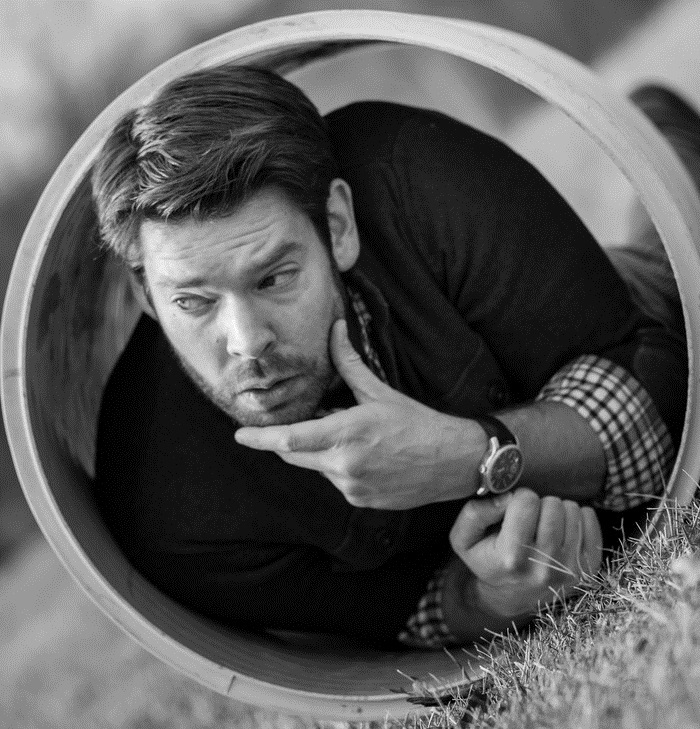 SPS: What’s next on the self-publishing horizon for Clayton Smith? CS: Not at all! For a long time, I was convinced that traditional publishing was the only way to be “legitimate.” But then, two things happened. First, I attended a panel discussion with Hugh Howey, and he gave a pretty long and convincing list of reasons why self-publishing isn’t only legitimate, but probably the smarter way to go for most writers. But the thing that gave me the really big push was this: I sent off the manuscript for Apocalypticon to a whole bunch of agents and got a whole bunch of rejection letters (which is to be expected, of course). After a while, I got a little tired of it and was on the brink of just saying, “Screw it, I’m self-publishing” when I found an agent who said she was specifically looking for post-apocalyptic or dystopian stories about friendship that involves some sort of journey. I just about fell out of my chair! That was Apocalypticon exactly! I was super excited, and I submitted the details of the book, pointing out in excruciating detail how it was precisely the type of story she was looking for. Three weeks later, I got a form email from her telling me it just wasn’t the type of story she was looking for. There’s a difference between self-publishing and self-publishing well. I’ve been working really hard to make sure I self-publish well, prying advice out of every knowledgeable person I can, and it’s a lot of work. But I love it, because I’ve always been really entrepreneurial, and self-publishing is basically like running your own business. And it’s so worth it. There is nothing like holding your first novel in your hands. CS: Keep going. Keep writing, keep reading, keep connecting with other writers, keep reaching out to agents and publishers…whatever it means for you to be writing, just keep doing it. It’s not always easy, and discouragement abounds. But just. Keep. Going. CS: I just finished the first Joe Vampire book by Steven Luna (published by Booktrope), and it was really enjoyable. Luna’s a crazy talent in the self-publishing/small house-publishing world. He’s got a great Jonathan Tropper feel to his style. SPS: Thank you for joining us today Clayton, and all the best for the future. SPS: For more information on Clayton and his work, please do visit his Showcase Author page here. Awesome interview! Heading off to check Apocalypticon and Pants on Fire out on Amazon, and looking particularly forward to If! PS. Paul, if you start serving cake at interviews, please be advised I want some.